The food scene in Belfast is ever growing with new eateries and restaurants opening on a weekly basis. Yes, we have the fine dining venues like OX, James St South, Saphyre and Deanes to which everyone knows their appeal. Somewhere to go for a 3-course meal or a tasting menu, somewhere to spend a full evening sipping on wine and savouring the finest of ingredients. On the other hand of the spectrum, there is also a need for quality fast food. Somewhere to get a quick and wholesome bite in under 30-40 minutes. The Same Happy is a bit of a hidden gem in Belfast and relatively unknown in my eyes. Located in what is Belfast's version of 'Chinatown' on Donegal Pass the Same Happy specialises in roasted Hong Kong Style BBQ meats. Serving probably the best roast duck, crispy pork belly, char siu and soy chicken in the city it comes as to no surprise that when I visit I'm usually the only non-Asian in the restaurant. My favourite dish is a combination of roasted meats on a bed of boiled rice. I love the fact that you can pimp the dish to your tastes by adding a combination of chilli powder, chilli oil, soy sauce and their awesome authentic ginger and spring onion sauce (think of a Chinese Chimichurri). The best part about it is you can be in and out in less than 20 minutes as all of the meat is pre-cooked. Sometimes you are lucky to get it straight from the oven but if not it doesn't matter. Slums were one of the second waves of street food type foods to hit Belfast after Boojum led the way. With a similar ethos in providing fresh food quickly at a cheap price, Slums take on the Burrito/Bowl quick food fix is with an Indian vibe made your way. All ingredients are extremely fresh and fragrant and the quality of the meats couldn't be faulted at the price point. Located on Bruce Street, Slums has the appeal of being slightly off the Student track meaning zero queues and loads of seats. Be sure to try the red onion chutney. Slims was the first of the Healthy eateries that are becoming popular in Belfast. Perhaps not the healthiest of the healthy eateries when compared to the likes of Tony & Jens but you are guaranteed to get decent food with minimal guilt. Their steak and halloumi wrap is notoriously good! Located on the Lisburn Road and Belmont. 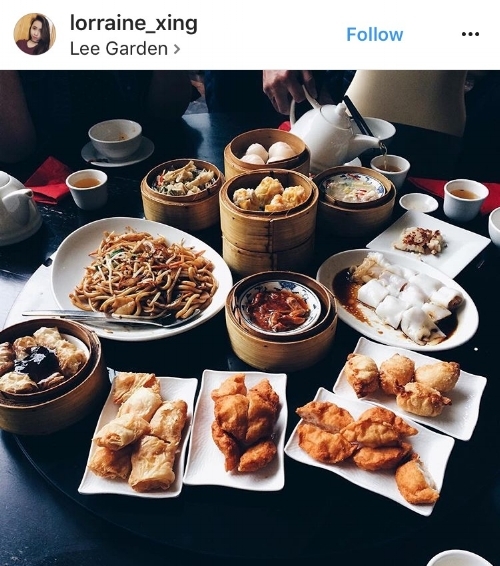 In Belfast, if you want Dim Sum the Lee Garden is where you go. Located just off Shaftesbury Square the huge Chinese Restaurant is hard to miss. They serve traditional dim sum during the day which is perfect when you want something tasty for lunch with limited time. Their dim sum is steamed/fried to order and when it's ready it's served so don't be surprised if your order is drip fed to the table. It serves all the regular dim sum offerings like Sui Mai and Har Gow along with the not so regular chicken feet for the more adventurous. Be sure to try their fried cuttlefish and braised beef brisket. I adore Thai food but unfortunately, since the Suwanna on Great Victoria Street closed about 15 years ago there has been a void of quality Thai cuisine in the city. I tried the Thai Village on Dublin Rd a couple of times but was left underwhelmed and the newly opened Thai franchise Camille (Lisburn Rd) was outrageously overpriced for sub-standard microwaved food. However, there is one glimmer of hope in Thaitanic located just off the Lisburn Rd. The owner, who I believe is Thai, makes great authentic dishes that can be served up in a matter of minutes. A Belfast institution, Longs is one of the few remaining sit in traditional 'chippys' in the city. Located just off Grosvenor Rd it serves the usual chip shop fare in a nostalgic 1980's atmosphere. If you choose to sit in you will see the full spectrum of demographics Belfast has to offer and maybe even the odd celebrity. Not surprisingly their fish and chips are awesome. Salt and vinegar on the tables and buttered white bread served with your supper. What more could you want?